~ ~ ~Jayne Stamps ~ ~ ~: What Will They Think of Next? Did you ever notice how crafters will use pretty much anything on their creations? I always wonder how they come up with some of their ideas. It must be those late night/early morning hours when they can't sleep where creativity strikes. Isn't that so cool? 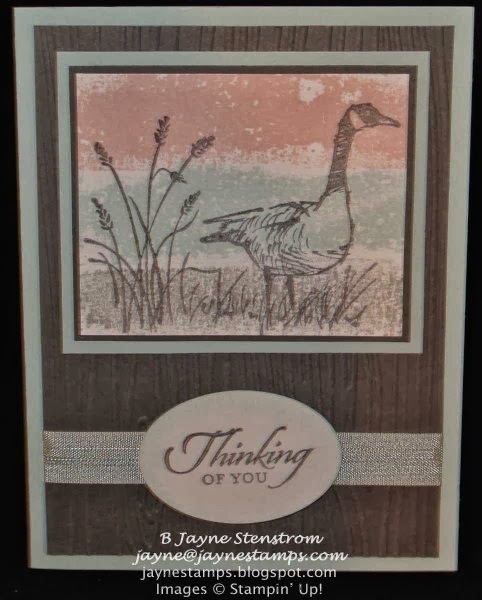 All you do is take painter's tape, apply the sticky side to the stamp pad, rub with your fingers, lift up, place it on your card stock, rub lightly with your fingers again, and remove. Voila! The card above used Blushing Bride, Soft Sky, and Smoky Slate inks for the background. Of course the stamp set is one of my current favorites - Wetlands. This card used the same technique, but has a more Fall flavor to it. 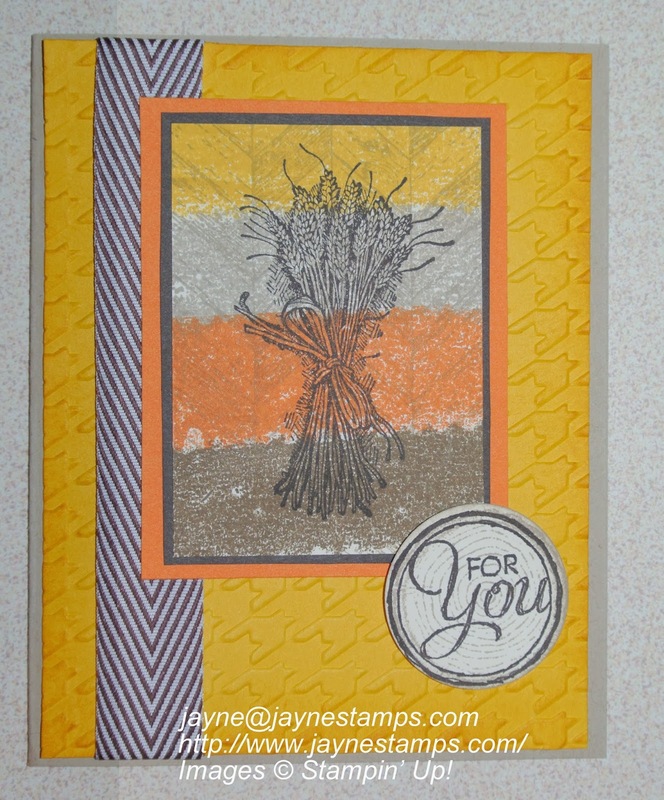 The colors used on this card for the background are Crushed Curry, Crumb Cake, Pumpkin Pie, and Chocolate Chip. 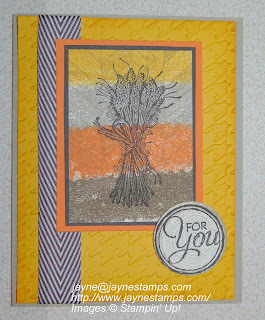 It was over-stamped with the wood-looking stamp from Truly Grateful using Crumb Cake; then the wheat was stamped on top with Early Espresso. The "For You" is from Chalk Talk. And check this out - starting on October 7th, you can sign up to be a demonstrator and join my group for only $25!